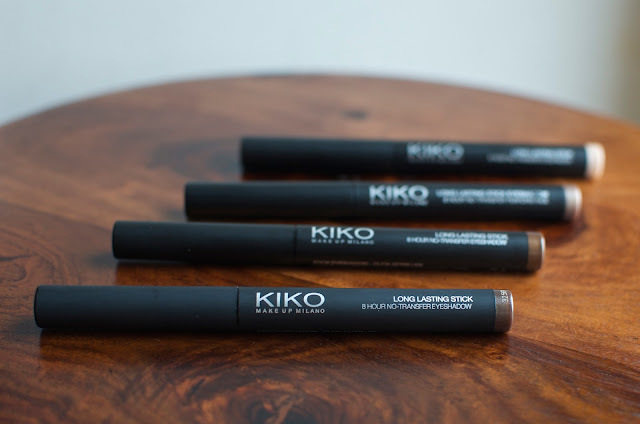 I went to France again, which means that I walked into Kiko and did some damage. I was so impressed with the Long Lasting Sticks that I bought last time that I decided to pick up a few more. And by few I mean 4. As per usual, I went with fairly neutral shades and picked up 04, 06, 07 and 39. 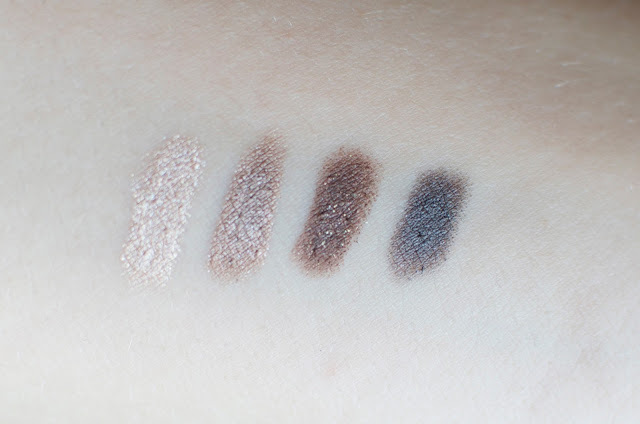 I chose these shades because they remind me of a shimmery stick version of my beloved UD Naked Basics palette. Some shades are slightly cooler and some are slightly warmer but I find that they work particularly well together. 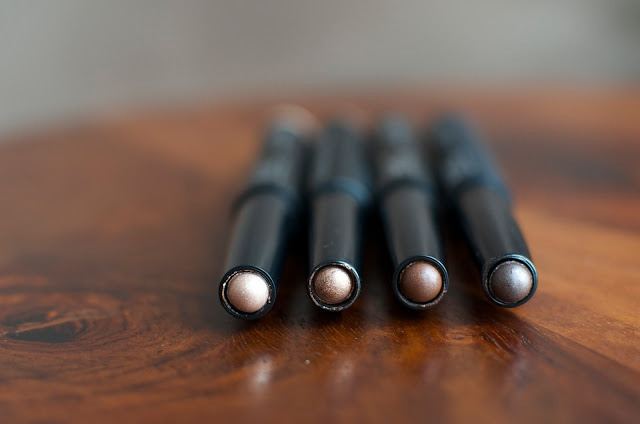 Despite their neutral shades, these sticks are very shimmery, which makes them great both for very neutral looks and more sophisticated ones. I already mentioned the Long Lasting Sticks in a first impression post that you can find here as well as in a battle with the ByTerry Ombre Blackstar that you can find here. 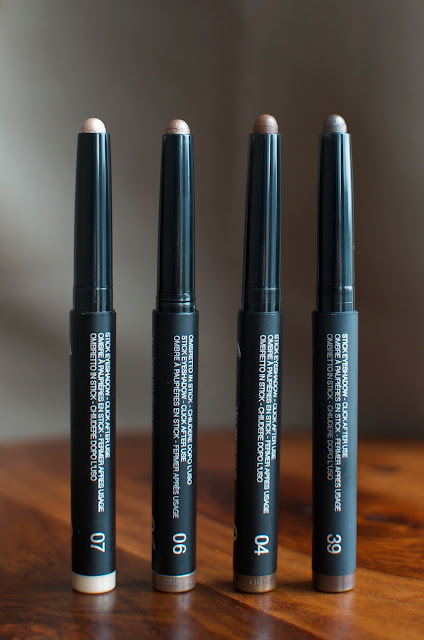 But what you should really know about them is that they are easy to work with, last all day, blend very nicely and have great pigmentation all the while being very affordable. I think I’ve said enough about them and it’s time to jump to the tutorials. For each look I used nothing but the sticks as well as a blending brush (RT base shadow brush) and my fingers. The mascara I’m wearing is the Kiko Ultra Tech mascara. The first look is very quick, easy and wearable. I only used two of the sticks and as you’ll be able to tell, it only take a few minutes to do. Apply shade 07 along the lash line on the first half of the lid. Apply shade 04 along the lash line on the second half of the lid. Blend the two colours together and drag them slightly upwards with a blending brush or you finger. Apply mascara and smile, you’re done ! For the second look, I wanted to try something new. Instead of highlighting the inner corner, I highlighted the centre of the lid. I’ve seen this look on quite a few blogs recently and I really like it. Apply shade 04 on the inner and outer third of the lid up to the crease. Apply shade 07 on the center of the lid up to the crease. Blend the limit between the two shades with a finger or a blending brush. *you might find that the shadows overblend and end up looking like one as they’re so easy to blend. 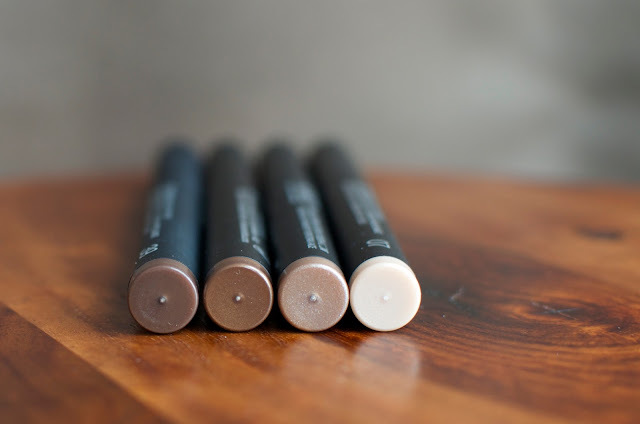 You can always reapply and reblend any of the shades until you’re happy with the result. You could stop here but I added a tad of shade 39 in the outer corner to deepen the look before blending again. Apply mascara et voilà ! I find that this look is still appropriate for everyday wear but you might want to keep it for a slightly more special occasion. As you wish. Apply shade 07 in the inner quarter of the upper lid as well along the first half of the lower lash line. Apply shade 06 all over the lid except for where you applied shade 07. Apply shade 04 in the outer corner and in the crease as well as along the second half of the lower lash line. Apply shade 39 in the very outer corner of the lid to further deepen the look. Blend everything together with a brush. Don’t forget to blend out the edges and the lower lash line as well so you can’t see any harsh line anymore. Apply a generous (or several) coat of mascara and that’s it. I hope that you enjoyed these quick tutorials ! Are you also a fan of the Long Lasting Sticks ? Very pretty. I love this shadow sticks. I think they are amazing. I usually only use them for a one colour all over the lids look, but all these looks are lovely.